Tell us about the manufacturing, distribution base, people and core competencies of Condair Plc? Condair is the world’s leading manufacturer of industrial and commercial humidification systems. It has over 650 employees worldwide, manufacturing facilities in Europe, North America and China, directly owned sales and service operations in 19 countries and distribution partners in approximately 50 more. Condair is represented in the Indian textile industry by its local agent Regent Machine and Servicing (RMS), which is based in Kolkata. The company offers a full service of system design, supply, installation and after-sales service, maintenance and spares support. Could you provide insights about Condair offerings under the humidification segment for the textile industry? Condair humidifiers are used in textile processing facilities around the world to maintain product weight during processing and storage, improve quality, combat static and enhance productivity by reducing machine downtime. The primary Condair product used in textile production facilities is the JetSpray compressed air and water spray humidifier. The ABS3 rotary atomising humidifier is frequently used for small production areas whilst the Condair RS steam humidifier is ideal for textile testing laboratories. The JetSpray humidifier consists of rows of precision engineered nozzles that combine compressed air and water to create fine sprays, which consistently maintain humidity levels across production and storage areas. It differs from many other “spot” humidifiers that provide humidification from a single point of delivery. The JetSpray distributes humidity very evenly across an area avoiding high and low areas of humidity within a room. Who are your major clientele in the textile segment, and how many humidification system installations have you made in the last financial year? Condair has installed JetSpray humidification systems into many leading textile manufacturing facilities including: RSWM Ltd, VMT Spinning Company Ltd (unit of Vardhman Group), Birla Group, Gloster Limited, Ganges Jute Pvt Ltd, Cheviot Company Ltd, East India Commercial Co Ltd, G R Woollens Mills, Auro Weaving Mills (unit of Vardhman Group), to name a few. Could you comment on the changing market dynamics and how humidification technology can influence the cost and profitability of the textile segment in India? The textile industry has seen much modernisation in recent years with massive investment in high-speed machinery. The return on this investment is increased productivity but to fully realise this, machinery must be operated in-line with the manufacturer’s recommendations. This is particularly true for ambient humidity levels, as faster processing speeds mean increased tension on fibres, slivers and yarns. Conventional air towers, traditionally used in the textile industry for cooling and humidification, are often not efficient enough to maintain the consistent air humidity needed across a modern factory environment. This results in fibre and yarn breakages, machine downtime, a lower quality product and reduced yield. A modern textile factory must operate precision controlled humidification systems, fully capable of optimising the productivity of high-speed textile machinery. The latest humidifier technology also consumes much less energy and water than out-of-date air towers, which given the recent steep rise in energy costs, further improves a textile mill’s profitability. What are the emerging trends in the humidification technology worldwide? How far Condair is active on the R&D front? Hygienic operation through product design is an essential element of any humidification system. Staff health is paramount in maintaining a productive operation. Factory humidification systems that introduce moisture to air in occupied areas must include features to inhibit microbial growth, such as UV or silver ion sterilisation, and regular drain and flush cycles to prevent water stagnation. Condair has research and development facilities in Switzerland, Germany and the UK constantly developing and improving its range of humidification systems. The JetSpray humidifier has been evolving over the last 30 years to maintain its position as the leading humidifier for India’s textile manufacturing industry. Apart from textiles, which are the other verticals you have been catering to as far as industrial humidification and evaporative cooling systems are concerned? Alongside the textile industry, Condair also operates in the following industries: tea, data centres, automotive, printing, paper, tobacco, cold storage, heating, and ventilating and air conditioning industry, among others. 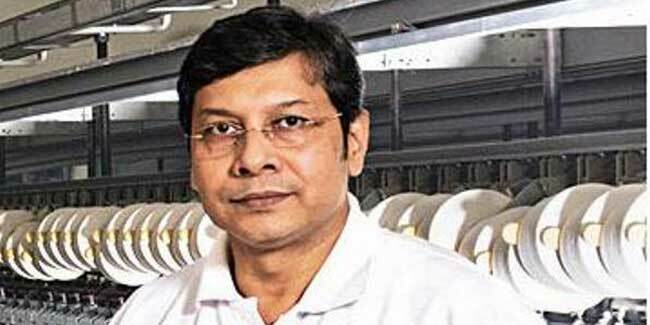 Do you see any challenges before the textile industry in India? And what's your recommendation for fast tracking growth of the Indian Textile industry?